Did you know the goal of an assessment is not just passing the assessment? Assessments are meant to evaluate the strengths and weaknesses of the student. Taking an assessment, and really benefiting from the process, requires self-evaluation. Even when you get the answer right, it is important to be sure to understand what the other answers mean and where to find them in the guidelines. Let me show you an example. A patient taking prescription strength cough medicine drank two glasses of wine within a short period of time at dinner. She was brought to the ED by a friend shortly after dinner complaining of dizziness and extreme drowsiness. The provider believes the symptoms are due to the interaction between the wine and cough medicine. How is this classified for coding purposes? The correct answer is “a” Accidental poisoning. You know it is the right answer because of guideline I.C.19.e.5.b.iv. But why are the other answers incorrect? b. Self-harm poisoning – incorrect answer, the patient did not intend to harm herself. As coders we need to be life-long learners. We must take the time to fully understand the concepts that shape the coding world, and part of this process is learning from our mistakes. Although we all love to see a passing grade, learning from each question should be the goal. Here are a few steps to take in order to ensure you learn from your assessments. 1. Keep a piece of paper next to you and mark down the number of each question that included a choice given for the question you did not understand. After the assessment, check your results. Even if you got the question right, go back and make sure you fully understand why the other choices would not be correct. 2. Review each incorrect answer and again review all the choices to make sure you fully understand why the answer you chose is incorrect. 3. If, after following the steps above, there are questions remaining for you, reach out to your instructor or colleagues to get a better understanding of those questions that remain. Libman Education provides many different assessments. Some are found after each lesson within a course and others are stand-alone assessments specific to an area of coding, such as inpatient coding, outpatient coding, specific code sets (ICD-10-CM, ICD-10-PCS or CPT®), or credential exam readiness assessments. We are here for you and our goal is to help you become the best coder you can be. Libman Education’s online Coding Skills Assessments are based on real world scenarios and accurately assess an individual’s competency and skill level. Quickly and efficiently determine the strengths and weaknesses of coders and potential new hires. Learn about your options here. With over 25 years of experience in inpatient, outpatient and emergency room coding, Angela is an Education Specialist, Instructor and Director of Education for Libman Education. Angela teaches Libman Education’s Medical Coder Career Program (MCCP), courses on ICD-10-CM and ICD-10-PCS, and courses for the CCA, CCS, CIC, and COC credentials. 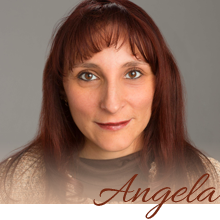 Angela holds a bachelor’s degree in Healthcare Management, Certified Coding Specialist, Certified Documentation Improvement Practitioner from AHIMA, Certified Inpatient & Outpatient Coder and the Certified Professional Coder Instructor certifications from AAPC.